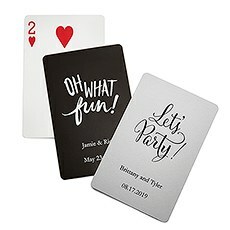 Party favors come in all shapes and sizes, but few actually add to the excitement at your event. 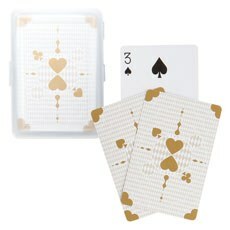 These personalized playing cards are an exception, however. 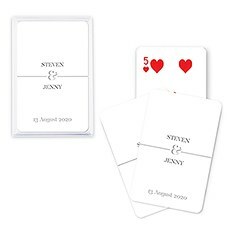 Your guests will adore having their very of set of custom cards to play with at your party. 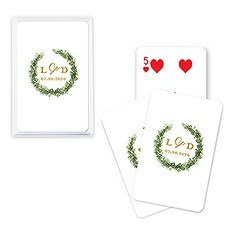 Don't be surprised if some of your guests engage in an exciting game of cards when you have this favor available to them. 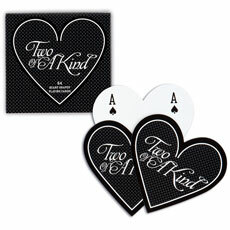 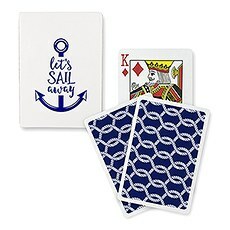 There will never be a dull moment thanks to your choice of playing cards as party favors. 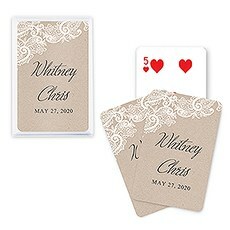 Plus, guests can enjoy this favor for years to come after the event. 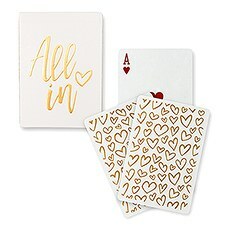 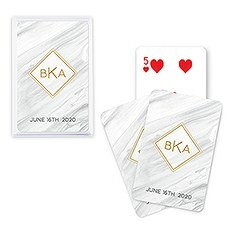 Discover our great designs and customizable styles when you browse this collection of personalized gifts for parties.Add to the FunFrom Go Fish to Poker to Bridge, there's no end to the fun games your guests can play with their personalized playing cards favor. 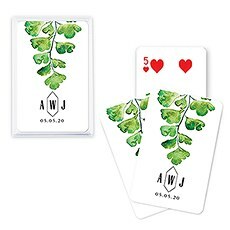 That's what makes this such a unique, thoughtful and memorable gift to give guests as a token of your appreciation. 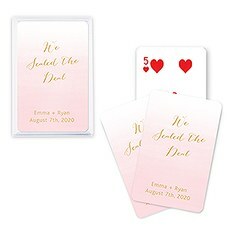 Whether you're hosting a birthday party, having everyone over for New Year's Eve or looking for a distinctive wedding favor, these playing cards are just what you need to set your event apart.Put Your Stamp on ItChoose playing cards for your party favor is only half the fun when you shop at Weddingstar. 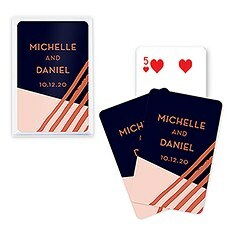 You'll love being able to choose from so many different design options to really match these cards to the event theme you have in mind. 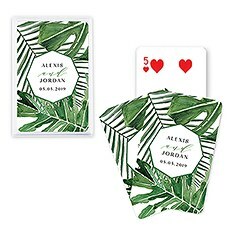 Pick from a number of card colors, foil imprint colors, formats and logos to make the design look right for your celebration. 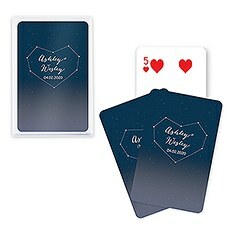 You can even add special details like the event date or a name to make the cards even more unique. 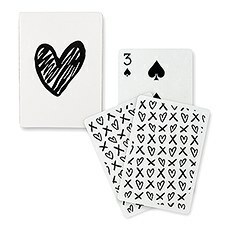 With so many fun, charming and sweet designs, you're sure to find a style you love. 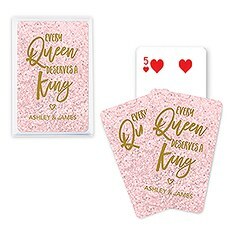 Pick from these stylish personalized playing cards to treat your guests to a favor they'll actually use for years to come.